Wake up looking out into the sunrise or watch a beautiful sunrise before bed from your Villa Costa condominium in Highland Beach, Florida. This exclusive Highland Beach condo community has just 36 residences that offer stunning views of the water right from your home. Every private home is sure to amaze with beautiful upgrades to every unit. Features such as marble flooring, chef’s kitchens, spacious floor plans, oversized master suites, walk-in closets, custom lighting, and floor to window ceilings can be seen. 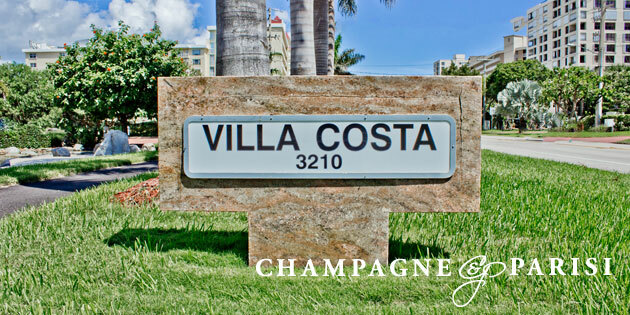 When purchasing a condo for sale in Villa Costa Highland Beach, each resident is provided with resort-style amenities. Residents are just steps away from a private beach, can lounge on the sundeck by the swimming pool, have access to a fitness center, wine room, community entertainment room, sauna, and underground parking. You will never have to question your safety as a Villa Costa condo resident because the building has 24 hour manned security and a doorman.